Mill Creek Women’s Club new Governing Board for 2018/2019 Photo courtesy of Mill Creek Women’s Club. By Marge Rhodes, Publicity Chair, Mill Creek Women’s Club. 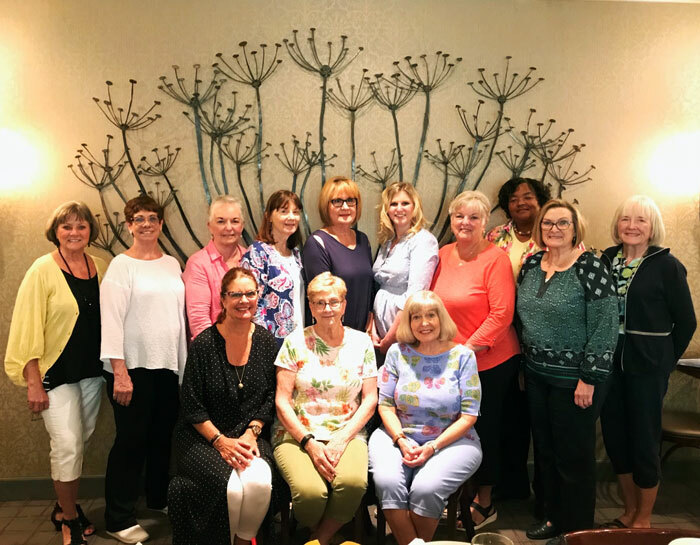 The new Governing Board of the Mill Creek Women’s Club was installed in May 2018 and met in June at Grazie Ristorante for the “crossover” from the old board to the new. At the crossover, the outgoing board members passed along their files and material to the incoming board in order to assure continuity in all areas of the organization. The Mill Creek Women’s Club continues to offer its members quality monthly programs and social events, along with opportunities for volunteerism through its philanthropic mission. The Mill Creek Women’s Club is open to all women living in the greater Mill Creek area. Our Club’s Newcomers’ Brunch will be held on September 6, 2018, from 10:00 am to 1:00 pm. This event is specifically for new or prospective new members. It is hosted by the Governing Board and will be held at a location to be announced. This is an opportunity for anyone who is interested in joining our Club to meet other members and learn about the Club’s activities. For more information, contact Ardean Armitage, Newcomer Chair, at ardeanardean@gmail.com.